t*rexes and tiaras: Fuelled by coffee..
Oh hai, cutest outfit in a while. 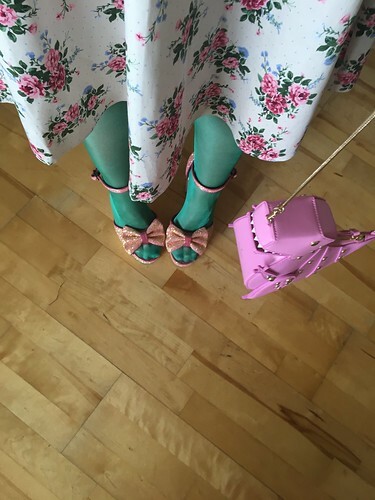 Basically, this combination of pretties made me pretty happy the other day, which is always good in my book. 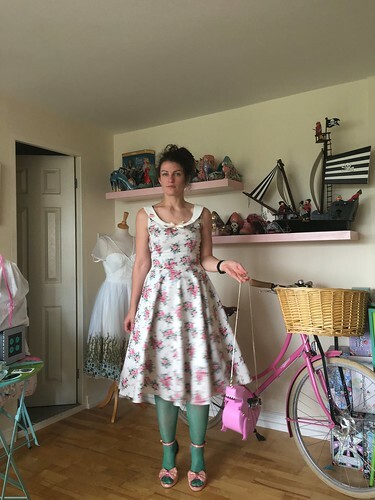 I know I've only just waxed lyrical about this dress in my Collectif sales post this week, so I don't have a lot more to say about it, other than here's how it looks on. I'm still adoring it. 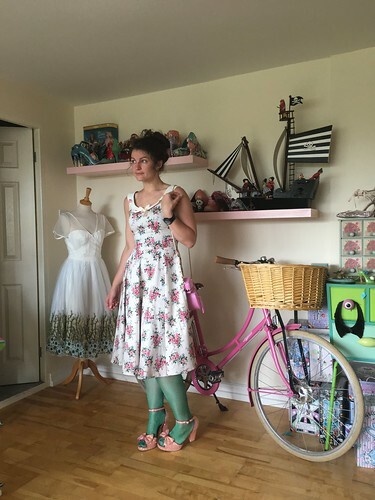 I decided that I'd pick out the green in the floral print and wear one of my new pairs of tights from Gipsy Tights. Honestly, they've got some amazing pairs in their new collection. This is one of the metallic gloss pairs in emerald green. My tights obsession grows, for sure. My sparkly birthday sandals are still suuuuuch favourites. And of course, still one of my favourite things ever, is my Kate Spade t-rex. He just makes every single outfit more enjoyable, right...?